Paleo & Whole30 Chicken Piccata – a 15 minute dinner recipe! 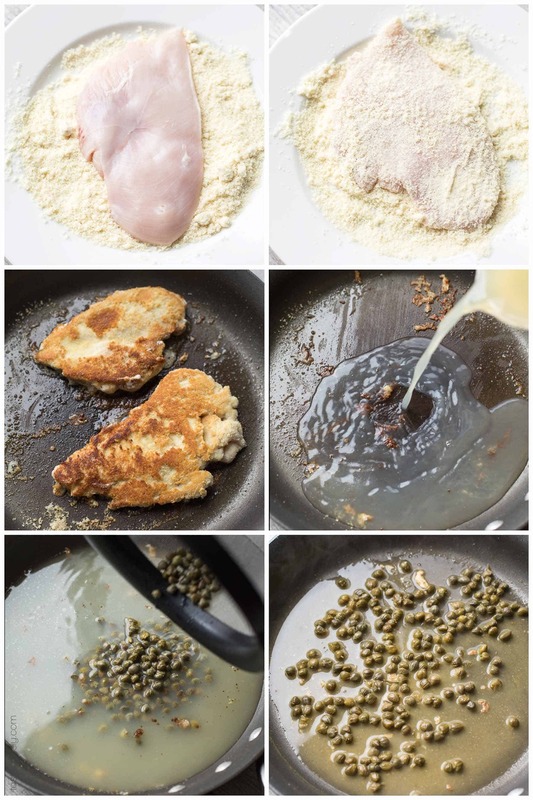 Chicken dredged in almond flour and served with a lemony caper sauce. Healthy and delicious. Gluten free, grain free, dairy free, sugar free, clean eating. We’ve been having a lot of cold, cozy, rainy days all January. When it’s too many days in a row of gray, cloudy days I love to cook something bright and fresh for dinner to bring some lightness into the house. 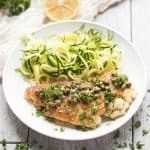 This paleo & whole30 chicken piccata has been perfect for that! I love chicken piccata! 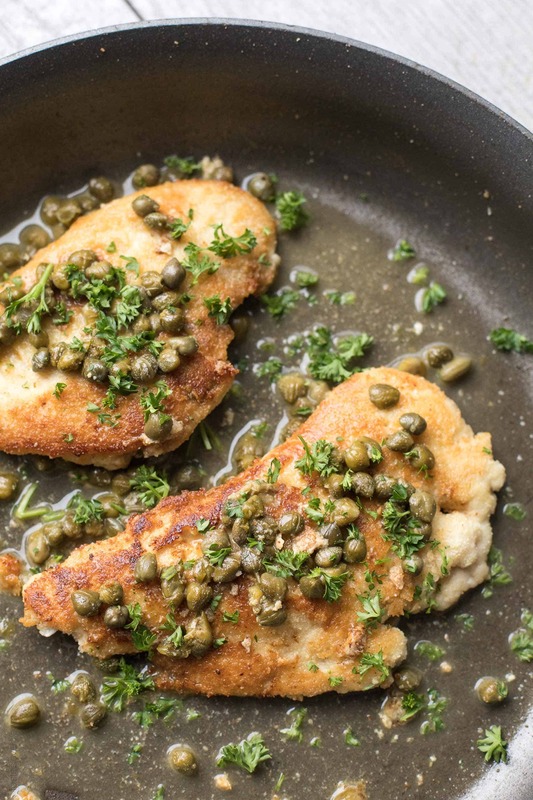 Cripsy, breaded chicken coated in a lemony and briney lemon and caper sauce. But I didn’t love all the extra calories, carbs and “not good for you” ingredients the traditional recipe has. So I’ve lightened it up! Instead of dredging the chicken in flour and parmesan cheese, I’ve dredged it in almond flour. This saves a TON of calories, adds even more protein, and makes the chicken gluten free, grain free, dairy free, paleo & whole30 compliant. I love the deep, nutty flavor the almond flour adds. And I don’t even miss the parmesan cheese. Rather than browning the chicken in butter, I brown it in olive oil. Since it is dredged in almond flour, you want to be careful that your pan isn’t too hot. Almond flour can scorch and burn easily, and cause it to taste bitter. I do a quick sear for just 2 minutes per side over medium heat, then finish cooking the chicken in the oven. The best part of chicken piccata is of course the sauce. 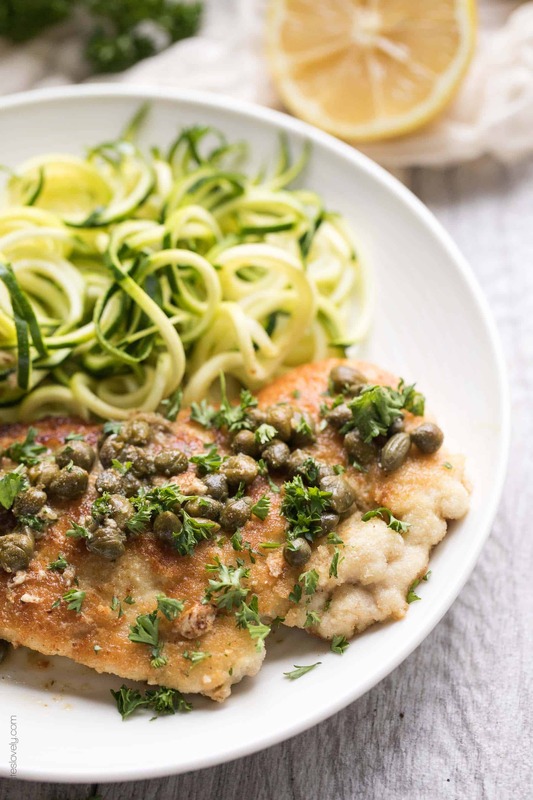 My chicken piccata sauce is made with chicken stock, lemon juice and capers. That’s it! 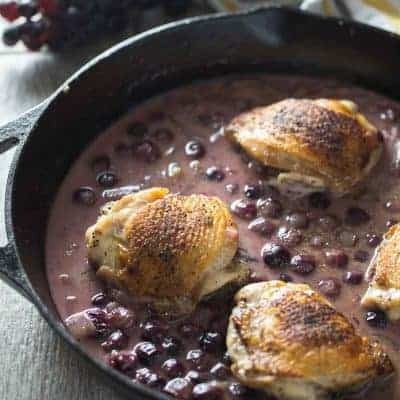 I make it in the same pan that the chicken was browned in to get all the brown bits that add tons of flavor to the sauce. Plus, any left over almond flour breading helps to thicken the sauce just a tad and add a little nuttiness and flavor. When the chicken is done cooking in the oven, I add it back to the pan coat in the sauce and top with fresh parsley. The whole recipe takes just 15 minutes to make! 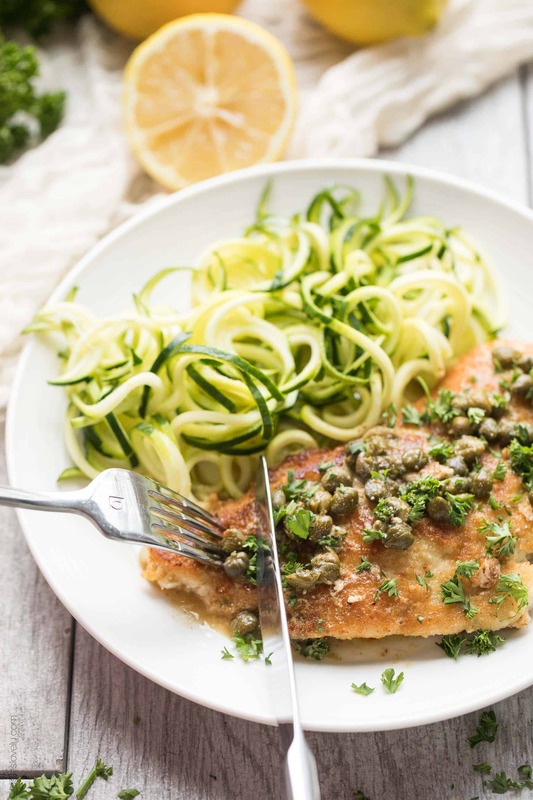 I like to serve my paleo & whole30 chicken piccata with raw spiralized zucchini noodles. It makes the dish feel even more Italian. But you could serve it with your favorite cooked vegetable. It is also delicious with cauliflower rice. 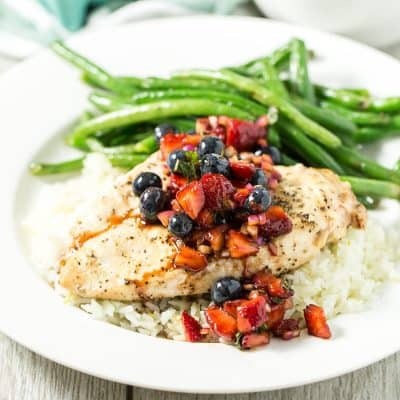 You’re going to love the sunshiney brightness of this chicken recipe, and you’re going to really love how healthy it is for you! Paleo, Whole30, gluten free, grain free, dairy free, sugar free, low carb, clean eating and less than 300 calories per serving. Preheat oven to 350º. Line a rimmed baking sheet with parchment paper or aluminum foil. On a large plate, combine the almond flour and salt. Dredge both sides of the chicken breasts in the almond flour. Heat a large skillet over medium heat. Add the olive oil. Sear the chicken breasts for about 2 minutes per side, until golden brown. (Don’t let your pan get too hot or cook the chicken too long. The almond flour will scorch and burn easily and taste bitter). Transfer the browned chicken breasts to the baking sheet and continue cooking in the oven for about 5 minutes until the chicken has an internal temperature of 165º. You may need to sear your chicken in batches depending on the size of your pounded chicken breasts/pan size. While the chicken is cooking in the oven, add the chicken stock, lemon juice and capers to the pan. Turn the heat up to high. Scrape up any brown bits, and cook the sauce until it is reduced to about 1/2 cup, for about 5-8 minutes. I was skeptical of this, thinking it wouldn’t be the same without flour and parmesan cheese. WRONG! This was so good! I served it with zucchini noodles just like you did. I just did the noodles raw. And you have so many other Whole30 recipes! Glad I found you! Yea! So glad you liked it Tiffany! What is the serving size the nutrition facts are based upon? 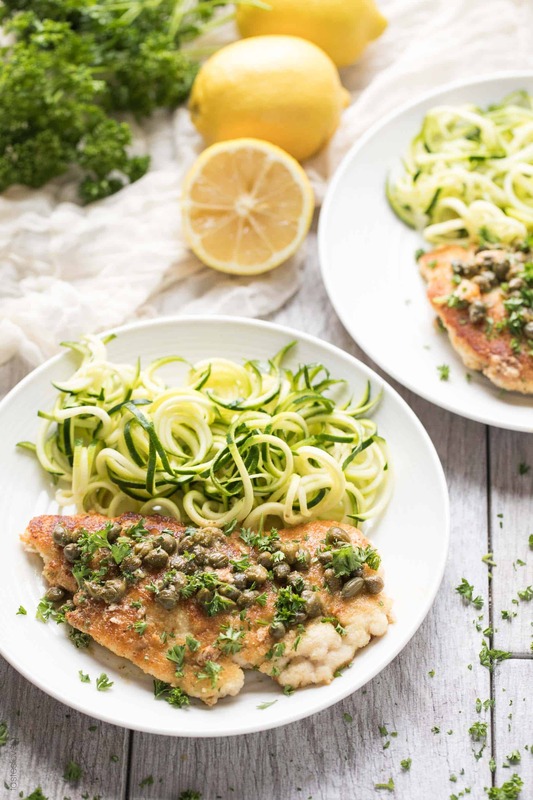 I love chicken piccata and this recipe is perfect for Whole30! Adding the almond flour into the sauce made the sauce nice a creamy! Thank you for this delicious recipe!! I’m so glad you liked it Hali! Thank you for making it and letting me know you enjoyed my recipe. You made my day! 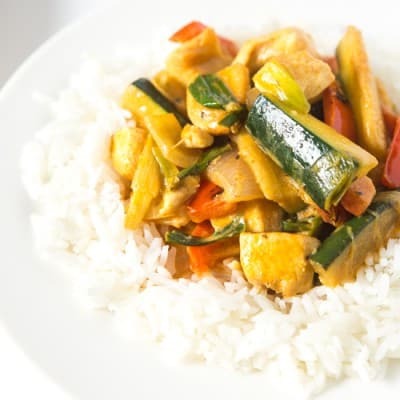 Great recipe with room to tweak as you like to accommodate your tastes. I’m so glad you liked it Steve! Thanks for letting me know you liked my recipe, you made my day! Would coconut flour work as an alternative for coating the chicken? It may! I haven’t tried it. But I find coconut flour tends to get a little gummy for coatings. It doesn’t crisp up. I might add in some tapioca starch or arrowroot powder with the coconut flour to help it bind and crisp up. Let me know if you try it! I didn’t even know there was walnut flour! I’ve got to try it! I’ve never made it with walnut flour, so I can’t say with a 100% guarantee, but I would imagine it would work just fine. All nut flours should work the same way. If you try it and it works let me know! This is one of our favorite recipes! Even our 16 year old and 5 year old love it! That’s always a win! I’m so happy to hear that! Thank you Amy!